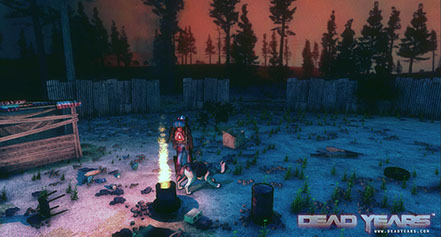 DEAD YEARS draws an esthetically polished post-apocalyptic world, where you survive with your best friend - your loyal dog! 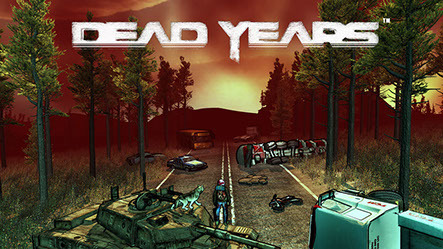 Inspired by games such as Fallout 3 and Borderlands, DEAD YEARS sets an open-world rocky adventure offering some action-RPG-like fun with elements of survival and exploration. 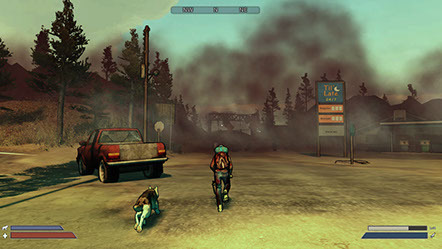 The best part - you and your dog evolve independently and as a team, while not only combating enemies and natural elements, but also progressing through a deep meandering story line. Years after a mysterious outbreak, the world has been altered forever. Human species is endangered under the oppression of freaky viruses, a horde of roaming unfriendly human corpses, hungry wildlife, and limited natural resources. 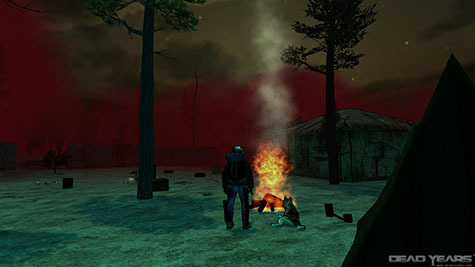 You, one of the few survivors, suffer from injuries and memory loss, thus you need to rediscover this new environment, hoping to catch a glimpse of a clearer future. Fortunately, you are not alone! A faithful companion is always by your side - your loyal dog! Do not be fooled by his fuzziness. He is a stealthy combatant who will help you survive, explore and adapt! > Captivating elaborate story that will keep you hooked! > Complete freedom to quest and to explore at your own pace. > Hundreds of side quests with amazing rewards. > Fifteen skills to improve like mechanics, first aid, scavenging, etc. Your enemies surround you - hundreds of enraged mutants, dying to taste your flesh. Bad news: they run! 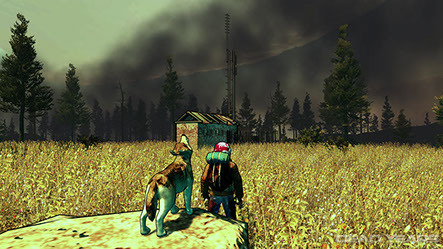 Even worst news: they are not your only enemies: wild animals, other survivors, nasty weather, bacterias and diseases... They all want you for themselves! So, wear armor at all time, and don't go out there wearing a T-shirt! 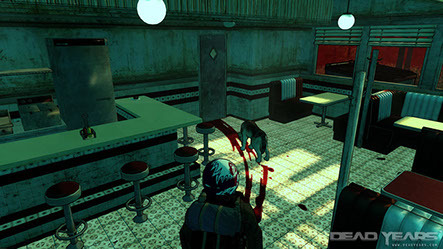 Also, keep your thirst for improving your combat and survival skills. Scavenge and craft to improve your gear. > Hundreds of unique locations to discover. 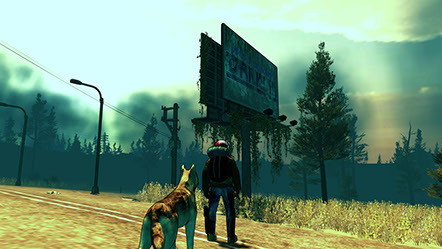 > Walk on abandoned highways, explore cities and desolate wastelands. 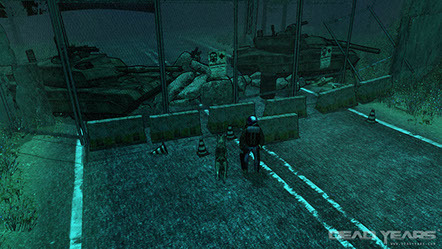 > Six months after the outbreak, this is a world like you've never seen before. Scary, but somehow deeply beautiful! Copyright © 2017 ZeroByte Inc. All Rights Reserved.